The Business Systems Design online suite of four courses (Business Analysis Practice, Requirements Engineering, Business Change and Modelling Business Processes) is brought to you by Filtered and business training thoroughbred QA. In order to deliver radical and beneficial change, business analysts must be able to identify, evaluate and improve business processes. The use of modelling techniques facilitates a methodical and effective approach to defining change requirements. This allows organisations to achieve significant improvements in the efficiency of their operations and the effectiveness of their product and service delivery. This course will help business analysts deal with these challenges. It will equip delegates with the fundamental skills to identify and model core business processes at an organisational level, essential for the successful improvement of the business. The course: a balanced mix of video and exercises to reaffirm the knowledge learnt. The tutor: Led by experienced Business Analyst and change management expert Claire Spindloe. There are no specific prerequisites required, although, knowledge of any form of workflow modelling may be useful. This course is suitable for those wishing to identify, model, evaluate and improve business processes, and/or attain the BCS Certificate in Modelling Business Processes. Business and process analysts, designers and implementers would especially benefit. 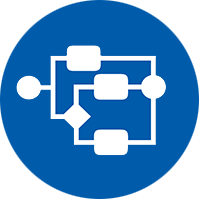 Identify and model business processes at the process level identify the events that trigger the business processes identify the outcomes from the business processes. Model the actors, tasks and process flows that comprise a business process analyse the tasks within a business process. Identify the business rules applied within tasks analyse the performance issues of individual tasks. Identify the performance measures applied within a business process analyse and improve business processes. Clare is an experienced Business Analyst who has been working within Change Management since 2004, primarily within the UK and European Financial Services sector. She holds the British Computer Society’s International Diploma in Business Analysis as well as the PRINCE2 Project Management Practitioner qualification. After nine years working on business and IT improvement projects of various sizes, across a number of departments within Aviva and Legal & General (including designing processes, setting best practice, recruiting, training and managing junior BAs), Clare decided to transfer her skills to training.